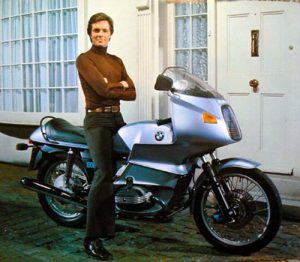 In the late 1970s, one of the coolest British TV shows around was “Return of the Saint”. 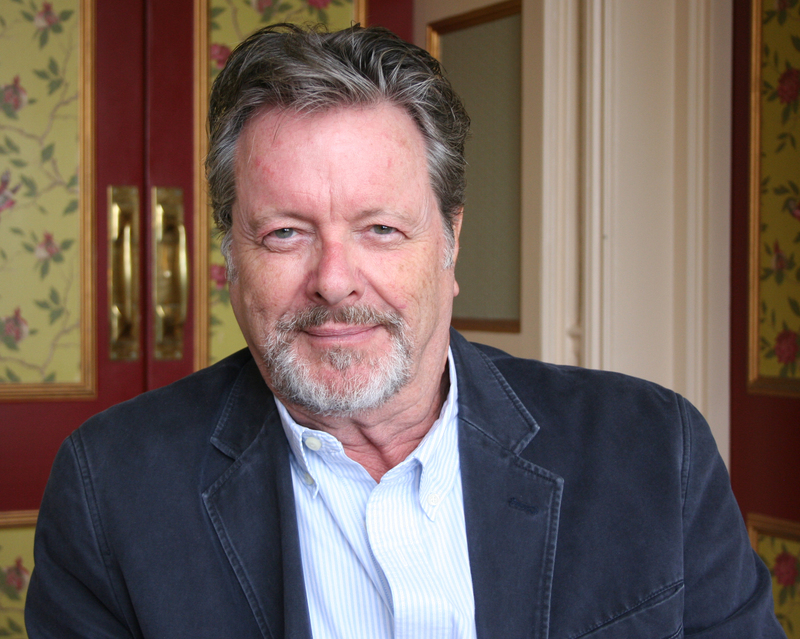 I recently caught up with Ian Ogilvy, the show’s star, in Eastbourne where he was directing his own play, “Swap”. JB– Firstly, thank you for agreeing to this interview. I’d like to start by asking about your long collaboration with Michael Reeves, which I believe started with “Carrion” in 1958. IO– Well, this was a short student film that we did. Michael and I were friends. I was 15 and wanted to be an actor, he wanted to be a director. He had this 8mm camera so we made a film. It is now lost and only a few frames remain. The next year he had a 16mm camera and he asked me to do another film. We’d had fun doing the previous one, so I agreed. In the end I was ill, his mother took care of me during filming, so I ended up only being in it very briefly. JB– During the sixties you collaborated quite a lot with Michael. On films like “The She Devils”, “The Sorcerers” and of course “The Witchfinder General”. IO- We’d been friends for a long time. Michael wanted to be a director, but didn’t really know what an actor did – so from an actor’s point of view he was very good to work with, as you were able to develop your own performance. The only time he really needed to tell somebody what to do was with Vincent Price, and that was more a case of telling him not to do things. IO- (chuckles) Well, I was 21 or 22 and I didn’t think about things like that, I just thought did I look nice with my blond hair and decided I didn’t really. 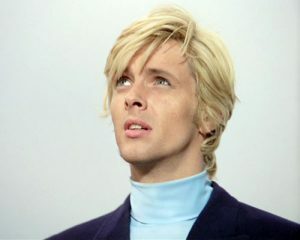 Of course, “The Avengers” is one of those shows which was so stylized. You know, there was no attempt at realism. I suppose they had an influence to a certain extent, but I would have thought frankly it was the other way round – television doesn’t often create, it often follows style, rather than create it. IO- Yeah maybe, I don’t remember much about it. I remember I had a sword fight in it with an incompetent, really dangerous stunt man whose idea of sword fighting was just to waggle the sword and the coordinator actually went “Stop! Stop! Somebody else do it.” And I remember driving this big car, that’s about all I remember about it, I don’t know what the story or anything was anything. I’ve not watched these again, I don’t watch myself, I’d rather not. I’ve got boxed sets of “Return of the Saint” and I haven’t even opened the set or taken the cellophane off. I don’t really want to see myself. JB- That brings us up to the “Return of the Saint” – can you tell me how that came about. IO- Yeah, well, it was sweet. He said, “Best of luck and remember in the words of the immortal Lee Marvin, say the marks and hit your lines”, which is the reverse of… Yeah it was lovely, it was nice. I met him a few times, he came and we all got drunk together in Italy. Yeah, that was fun. He’s always been very nice. I’ve met him once or twice in Los Angeles as well, but I haven’t seen him in years. We’re not friends or anything, but we’re perfectly fine. We wave at each other across a room! IO– Well, that was such an odd thing because there I am living in California and I know an actress named Nicollette Sheridan, you might know she was in “Desperate Housewives”, I’ve known her mother for many years. Nicollette rang me up one day out of the blue, I hadn’t spoken to her in years, and she said “I’ve just had this meeting with a guy called Brad, he’s a producer, and I’m going to be doing something with him, but right now he’s here and he’s doing this pilot for a new Saint series and I said to him but you’ve got to use Ian Ogilvy”, and Brad said, “He lives here?” And she said yes. He said, “Oh my god!” They’d already started shooting, so what he did was wrote me this little, tiny part and literally kind of shoe horned me into the plot, and it was a bit of an ill fit quite frankly. The plot was already done. I had a couple of very happy days on that, where they treated me wonderfully. And that was the gimmick, and I thought Adam was so cool and so good, perfect for a modern 2015 Saint. IO– I think it depends on what you’re in, but yeah quite often it is. I was always the bad guy in all the “Murder She Wrotes” and things like that. 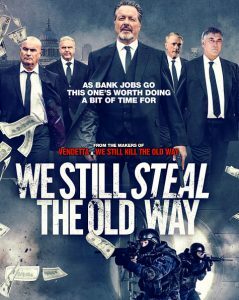 IO– I did “We Still Kill The Old Way” two years ago and last year we did the sequel “We Still Steal The Old Way”. JB– Can you tell me a bit about this? IO– Well, I’ll be honest with you, I think I would have been a disastrous Bond. I didn’t have the heft for it. Roger’s six inches taller than I am and broad. Tim Dalton I saw again after many years in Hollywood, he’s again a big man and I’ve always thought, you know, I was kind of light weight. 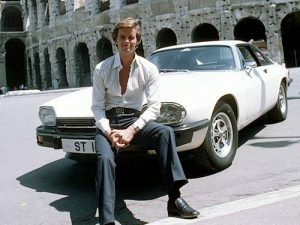 I was only just six foot and never big built I think Bond should be a big man period, if not a supremely fit man. I was neither, so to be honest, I know people don’t believe this, but I actually felt a huge relief. Saint yes OK, fine, but Bond no. I don’t think it would work. I don’t think people would have accepted me either, as when I was younger I was a pretty boy and I don’t think that works for Bond. IO– I was never rugged, I was the chap who stood at the mantelpiece with a cigarette and a martini, that’s what I did. I wasn’t frightening, I wasn’t believable in fight scenes particularly. I don’t think anyway. JB– What can you tell us about it? IO– Yes, now if I could write a murder mystery, those are the really popular things, but they are not easy things to write. It’s just coming up with the idea, you have to come up with a twist these days, a twist that takes people by surprise. I’m not able to do that, I don’t have that type of mind. JB– Looking at twists in a tale takes us back to your stage career and I think it was in the West End that you were in the classic play for twists, “Sleuth”. IO- Yes I’ve done that three times actually, when I was a young actor I played the younger character. It’s a two hander, and later I played the older man twice – one was in California at the Pasadena Play House, then I took over from Peter Bowles in the West End for a three month run, which was lovely because by then I really knew the play. It’s bloody hard work, just the two of you on stage, but at least by then I knew it, and I knew what I was doing. IO– That was Linda wasn’t it? Again, they were all very much like Bond or the Saint, they were what the actresses made of them, you know entirely personality jobs. They didn’t have characters. Now, if you look at Dickens and read all his heroes like David Copperfield and Pip in “Great Expectations”, these people have no characters at all, it’s all the people who surround them that have characters. It’s exactly the same with Bond. Bond is who he’s surrounded by. Same with these girls, Linda was Linda, Honor Blackman was Honor Blackman, likewise Diana, they were all themselves and brought their own personalities, so what you have to do when asked a question like that is to think, well, what’s the actress like in personality… and that’s what you get. IO– I know nothing about him apart from he wouldn’t kiss women. 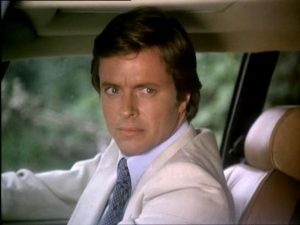 JB– Yes, he was a somewhat flamboyant character. While Ian’s autobiography “Once A Saint: An Actor’s Memoir” is published on the 5th May 2016.